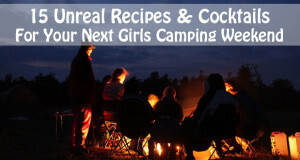 Watermelon as an ingredient fits both culinary philosophies when it comes to car camping. Bringing a melon to the campsite and preparing delicious dishes right there on the picnic table works great and is a terrific way to impress impromptu dinner guests. 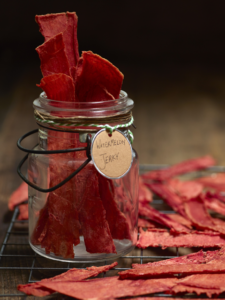 Yet watermelon’s delicious pink flesh, juice, and even rind are all great ingredients to use to prep bring-along dishes ahead of time so you can spend more time enjoying and less time cooking once you reach the campground. 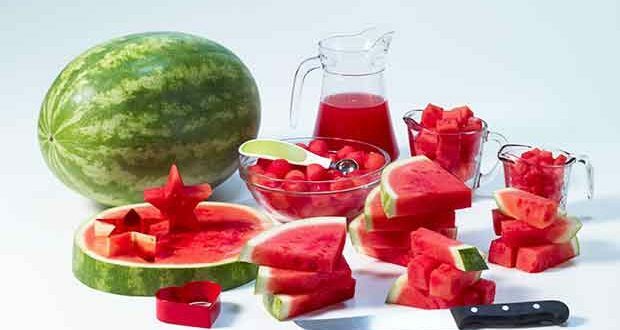 So in the compendium below from the National Watermelon Promotion Board, we offer great watermelon recipes for disciples of both methods. 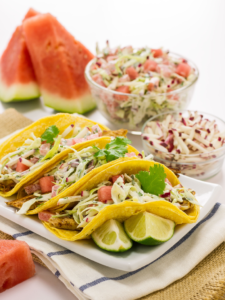 And don’t forget to check out our article on How To Pick The Perfect Watermelon to make sure your recipes turn out just right! 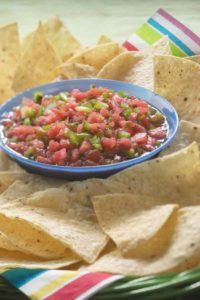 This salsa has a cool side to it with some watermelon, but then heats up your mouth with some jalapeno peppers! 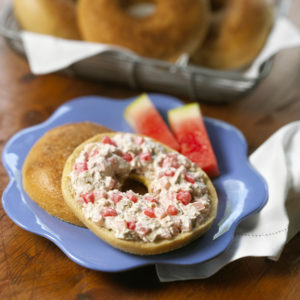 Light and slightly sweet, add watermelon to your list of favorite fruit-flavored bagel spreads. 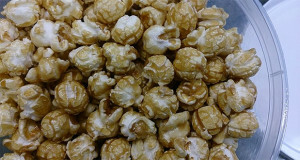 Mix together the cream cheese, walnuts and cinnamon. 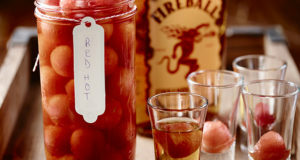 Just before using, mix in the watermelon. 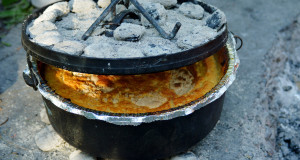 Toast bagels cut face down on the grill or the grate over the campfire ring to get some dark grill marks on the bread. Spread mixture liberally on toasted bagels. 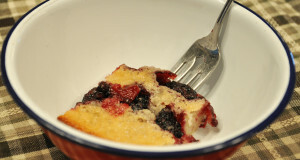 This fondue-inspired dessert recipe will impress and delight your taste buds! 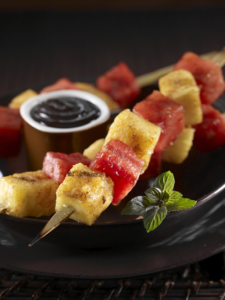 Alternate three of each cube of watermelon and pineapple on skewers and sprinkle the fruit skewers with the unrefined sugar and cinnamon sugar. 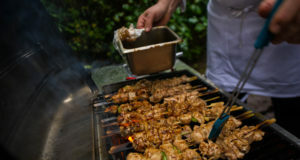 Grill over medium hot coals on all for sides about 30 seconds per side. Arrange on a platter and drizzle with warm fudge sauce. 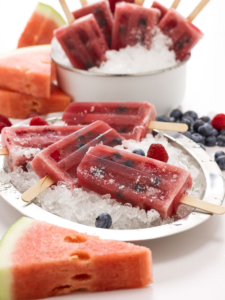 These Skinny Watermelon Berry Popsicles are a treat and very easy to make. 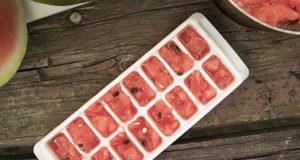 Just add some raspberries, blueberries, honey, and watermelon to your favorite popsicle molds and put them in the freezer. Add watermelon, ½ cup of blueberries, ½ cup of raspberries, and honey to a blender. Blend until smooth. Press through a fine mesh strainer to remove pulp and seeds. Fill popsicle molds ¾ full with liquid. Add whole blueberries and raspberries to each mold. 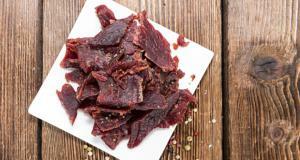 Insert sticks and freeze for at least 4 hours or until completely frozen. Let your American flag fly with pride with these fruity kabobs. Easy fun the whole family can help create! 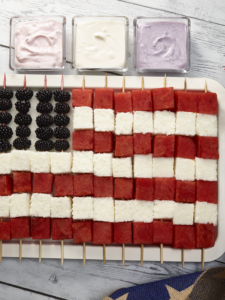 To create an American flag, thread 5 blackberries on 5 skewers, followed by alternating cake and watermelon cubes. 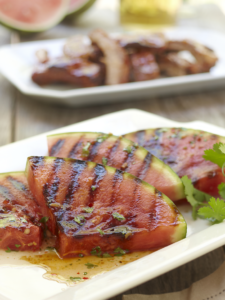 On the other skewers, alternate watermelon and cake, so that the first and last cubes are both watermelon. The fruit and cake will create stripes when lined properly with red strips at the top and bottom. 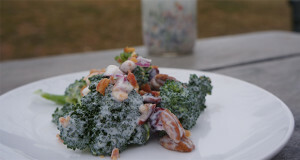 We served with red, white and blue yogurt dips, but the possibilities are endless! 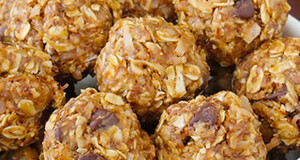 Try chocolate, caramel or marshmallow for a super sweet tooth.